The National Secretary of the IWW, Dave Pike, introduces the fighting union, what it stands for and how it is winning victories for the working class – like higher wages for cleaners, permanency for temps and safety at work for fast food workers. 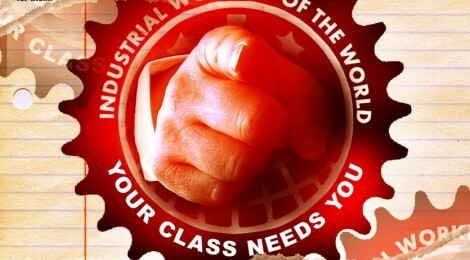 The IWW sees the world as divided by the boss class and the working class, and no-one will fight for our class other than us. We organise so that workers can win for themselves and are not reliant on Union full timers or politicians to fight for them. Come along to this event and find out what the IWW is doing in Europe and around the world, and how you can get involved. Fight for your class. ← Quick Win as Newcastle SolFed Launch Building Workers Campaign!